Before humans are involved in clinical trials, a lot of animal testing occurs. When something works in animals, there is hope that it will work in people. That’s why the news of nanotechnology applied to diabetes in animals is interesting. The work is being done through a cooperative effort between North Carolina State University and the University of North Carolina in Chapel Hill, the Massachusetts Institute of Technology and Children’s Hospital in Boston. But before we get to the results, we’ll explain. First, we have to define a nanometer (nm). A nanometer is one-billionth of a meter. How do we get our heads around that? It is incredibly small–smaller than the wavelength of visible light and a hundred-thousandth the width of a human hair. Now that is really tiny. But, it still is much larger than an atom. An atom is one-tenth the size of a nanometer (depending on the element). Nanotechnology is the use of these very tiny particles in unique ways. Researchers are using nanotechnology to find new treatments for many diseases. In this case they have been conducting lab experiments with a network of nanoscale particles that are injected and that release insulin when blood-sugar levels rise. In their animal trials, these nanoscale particles have maintained normal blood sugar levels for more that a week at a time. Why would this be a useful tool for those with diabetes? For people with Type I diabetes, the pancreas does not create the insulin that is needed to transport glucose (blood sugar) around the body and into the cells of the body. Because of this, people with Type I diabetes that is not controlled can have high levels of sugar in the blood. 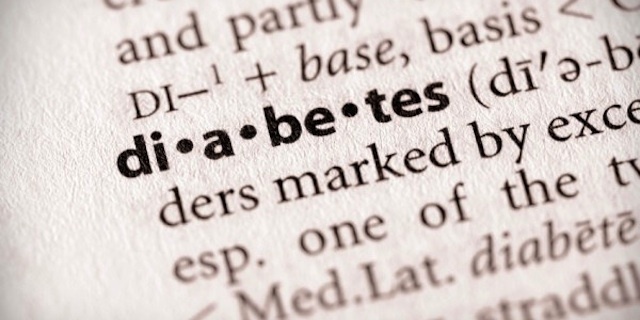 Patients control their diabetes by testing their blood frequently and giving themselves injections of insulin. Managing their blood sugar levels is tricky…having too much or too little insulin has a variety of negative health consequences. The nanotechnology that has been developed is fascinating. The environment around the nano-network of particles is key. The nano-network is made up of nanoparticles with insulin in the center and 2 types of enzymes that are affected by high glucose levels. When exposed to high glucose levels, the enzymes convert the glucose to gluconic acid, which breaks down the dextran covering and releases the insulin. The insulin brings the glucose levels under control. There’s still a long way to go before clinical trials in humans are approved but this is a promising first step in the process. What has to be done before human trials can commence? Do you have any estimate of when this might happen? How many years before we get the drug, as we need it now.